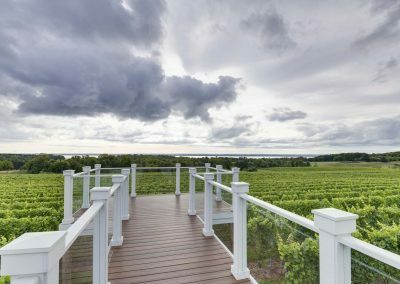 Walter Brys and a local architect approached us with a concept of building a “Viewing Deck” off the water side of their winery on Old Mission Peninsula. 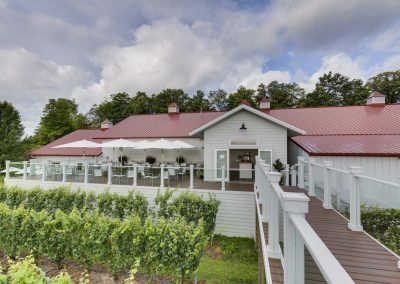 There was one issue, this project was on a tight schedule, and needed to be completed in 90 days. To make matters worse, it was in the spring, and anyone who knows anything about Michigan weather knows that it can be unpredictable that time of year. We dealt with winter conditions in April and early May and were also challenged with labor shortages during that period. 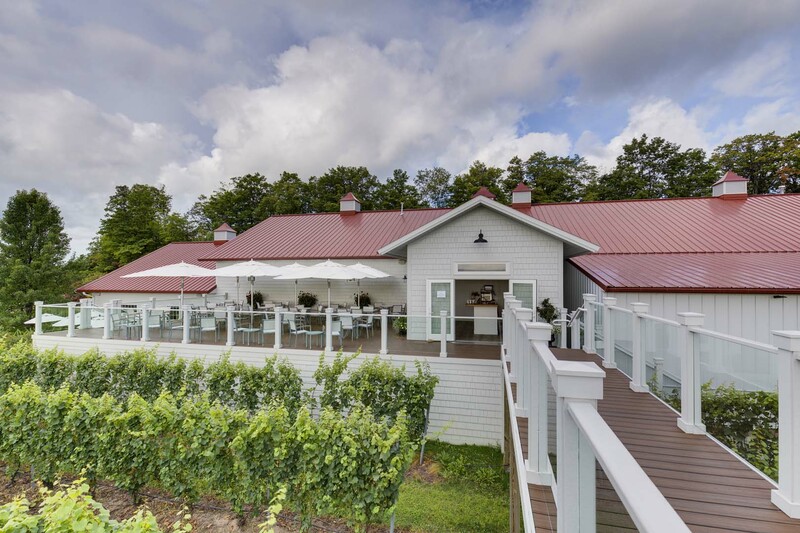 We were nearly completed with the viewing deck when they decided to go ahead with phase 2 of their project and add an outside tasting room with the same completion date. 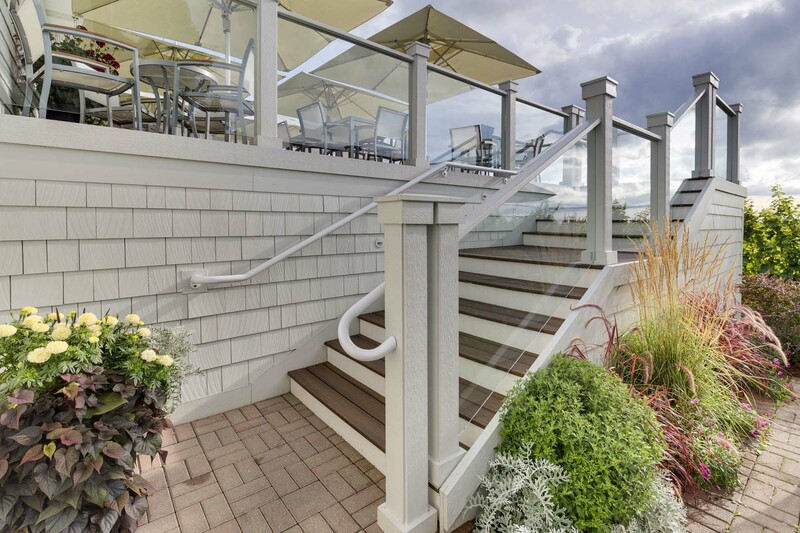 With the help of our dedicated sub-contractors, we were challenged and stretched thin, but we completed both projects, just in time for the summer season. The deck turned out with a fantastic view of East Bay for their guest’s enjoyment while tasting their award-winning wines. 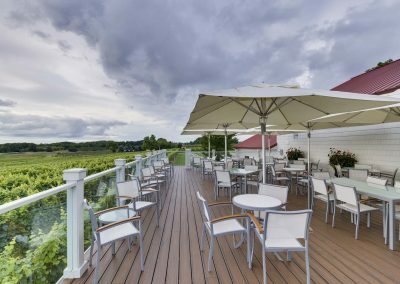 We highly recommend visiting their facilities to experience one of the best wineries on Old Mission Peninsula. 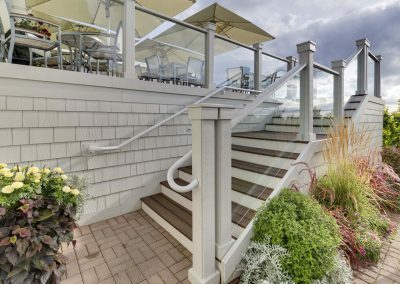 This small but detailed stairway is elegant and contemporary at the same time. The glass railings provide an unobstructed view, leading your way up to the spectacular viewing deck to enjoy a glass of wine. 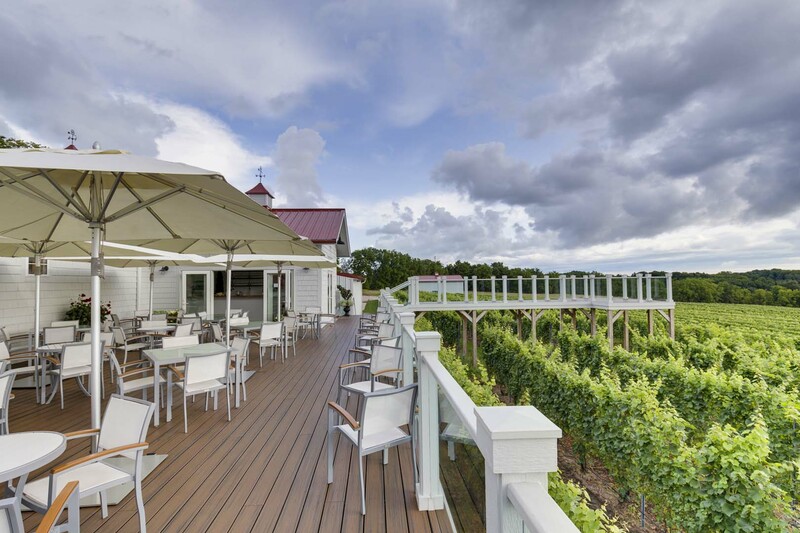 This custom viewing deck provides visitors of Brys Vineyard and Winery with a picturesque view. 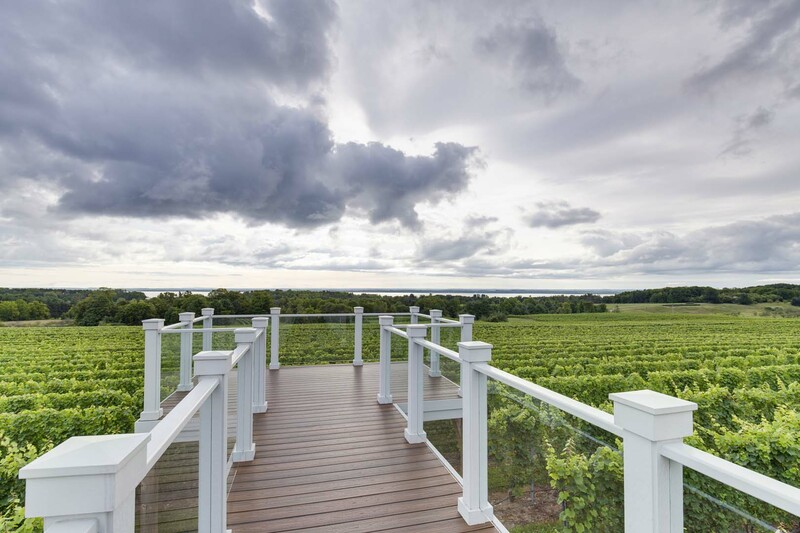 Overlooking the vineyard and East Bay, guests never tire of the panoramic view of this expansive scenic overlook. 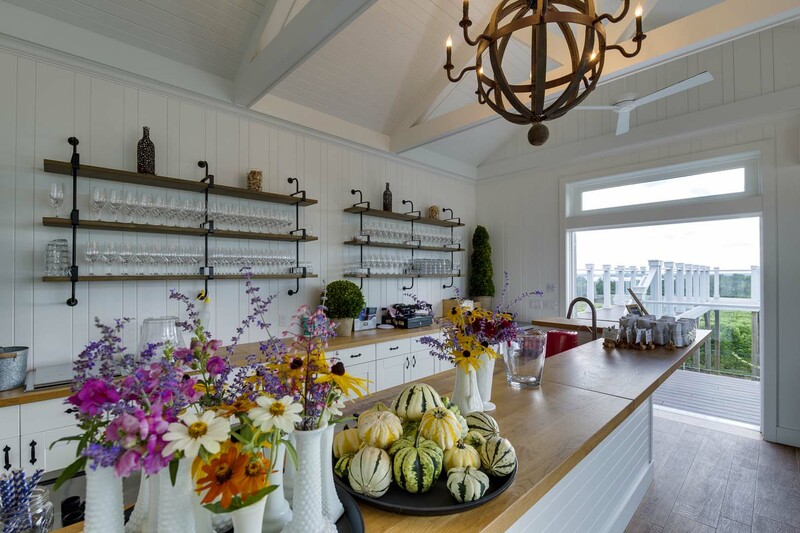 The light color palette in the tasting room gives the room a tranquil feel. Clean straight lines and the open shelving give the tasting room a sort of rustic elegance that is the perfect style for Brys Vineyard and Winery. 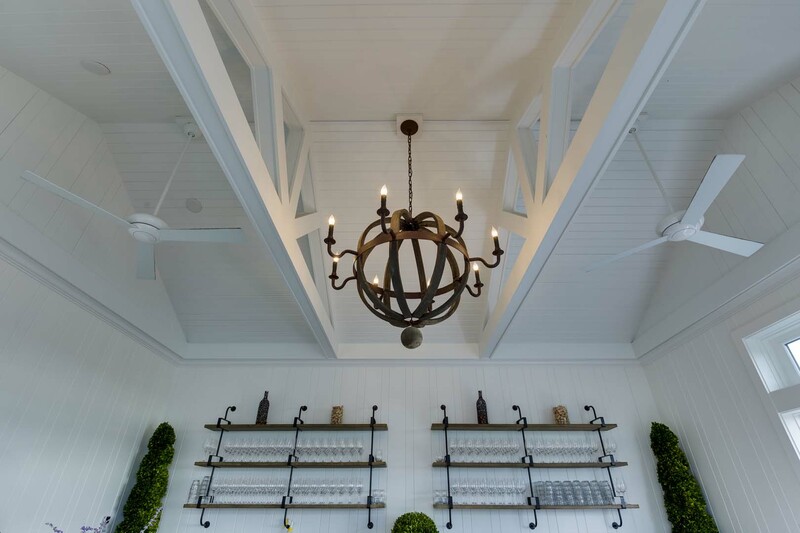 The vaulted, beaded ceilings in the tasting room give the room an airiness about it. 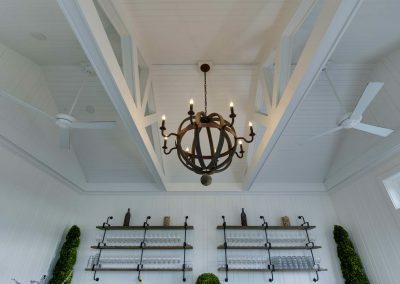 The chandelier provides a break from the white, while the exposed beams on either side add a unique textural feature.